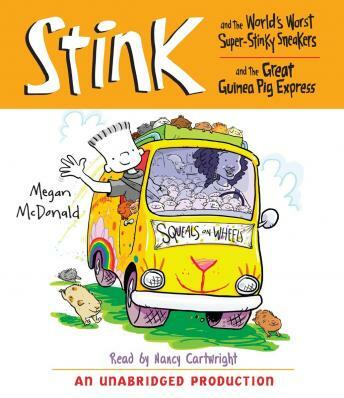 When Stink goes to the Everybody Stinks exhibit at the science museum, he discovers that his nose has amazing sniffing abilities. Before long, he’s engrossed in toilet water, corpse flowers, and all things smelly, and he and Sophie of the Elves are set to go toe-to-toe in a stinky sneaker contest! Will Stink’s sneakers be foul enough to win the Golden Clothespin Award?